Capt. Fumio Murasaki of the TRIXIE, a 17-foot skiff, was towing a live bait around the C-buoy when he hooked this grander. 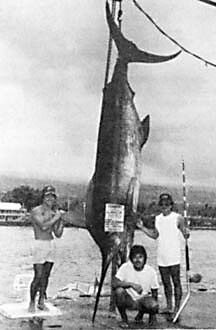 The fish was caught during the Kona Gold Jackpot but they were not entered so they missed out on a $30,000 jackpot.